McNicol Ltd.'s property maintenance offer a wide range of general services to keep your home or business in excellent condition both inside and out. In addition to fixes, repairs and revitalisation, we are also happy to carry out an assessment on your property as well as advise you on the best course of action where required. Whether it is an emergency call out, a one off job or routine maintenance, McNicol Ltd's property maintenance services offer a high quality, professional service to meet all your property needs. We cover all sectors, including domestic buildings and commercial business, we can offer planned long- term and short-term maintenance programmes to offices, landlords, retail outlets, care homes, nurseries etc. All our property maintenance service contracts are fully guaranteed and carried out by skilled tradesmen working under the Safe Contractor accreditation scheme giving you total peace of mind. 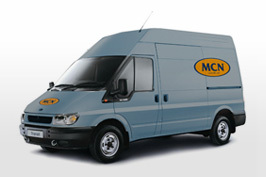 McNicol Ltd are available for emergency call-outs for any property emergency.